Being asked to decide what you want to do for the rest of your life at the age of 18 is bizarre. Essentially, we have four years to decide how we will spend the next 50. We seldom choose to chase our dreams or do what we feel born to do. With loans to pay back and future bills to budget for, we often choose the path that leads to money, not happiness. I almost followed that destination, and I do not regret derailing off that boring path. I came into the University of Rhode Island as a journalism major, eager to pursue the path of an up-and-coming sports reporter. I always wanted to be an athlete growing up, but as 99 percent of kids learn, having the ability to catch a football does not guarantee you the opportunity to walk across Radio City Music Hall to shake hands with Roger Goodell after being drafted. Seeing as though I loved debating Tom Brady’s superiority over Peyton Manning and declaring winners and losers for professional sports trade deadlines, becoming a sports reporter seemed like the logical option. I yearned to be the next Mike Felger or Dan Shaughnessy, controversial but also respected. Having the platform to share your opinion with the public and sparking conversation fascinated me. Listening to “Felger and Mazz” on 98.5 The Sports Hub and reading articles in The Eagle Tribune, my local paper, from Bill Burt pushed me to follow in the same footsteps. That was the goal, that was the dream. I quickly made moves to follow the dream. I joined the campus radio station, WRIU, my freshman year and called URI sports ranging from from softball to men’s ice hockey. I became one of the two sports directors the following year, having the ability to sit in the press box of Meade Stadium and lug equipment down to Bill Beck Field in my first leadership position. I was courtside in the Ryan Center for the important basketball games, sometimes having my face appear on ESPN and people sending me pictures of my happy face. The goal was becoming a reality. Then something changed. The ambition to become the next great sports reporter slowly faded away. In one ear screamed “stop tweeting like you’re a reporter, you’ll never make it,” in the other “journalism is dying, you won’t make any money” echoed like an ear-piercing reality. The once promising vision was slowly turning into a fairytale. I began to doubt the dream would ever happen, even picturing which coffee table would have my journalism degree as a placemat. I questioned whether it was all worth it, whether I should give up and pursue the life of a cube monkey that paid well but was the type that the movie Office Space mocked. I was ready to give up. But from doubt comes promise. I began writing for The Good Five Cent Cigar during my senior year after initially only being there for their podcast “The Rams of the Roundtable.” It was just another thing to put on my resume at that point. What started as taking one small article turned into weekly recaps, including recapping the first men’s basketball victory over Providence College in seven years. I had a reawakening for sports journalism. I loved being in press conferences with Dan Hurley and E.C Matthews, listening to reporters pick their brains. It may not be the Celtics or Patriots, but covering a nationally relevant college basketball team from two perspectives, broadcast and print, was an eye-opening experience. It made me realize this was what I wanted to do. Forget about the money or being good enough, I was already doing what I loved. Nothing could beat that, ever. Which brings me back to my main point. Never be afraid to follow your passion. It took me three and a half years to fully commit to mine. 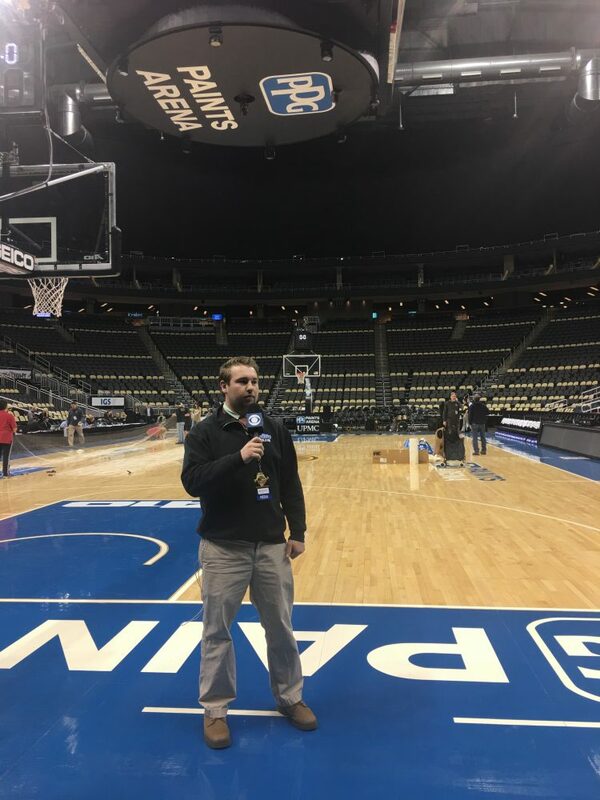 I traveled across the country with Ben Kinch and Stone Freeman to broadcast the NCAA Tournament, I wrote game recaps hours after the final buzzer sounded. As I prepare to graduate and make a name for myself, I am reminded of the teenager who created multiple sports blogs and spent hours debating sports with his friends. I’m glad he won’t be disappointed.